I recently started to watch Booktube reviews because I was looking for new books to read. 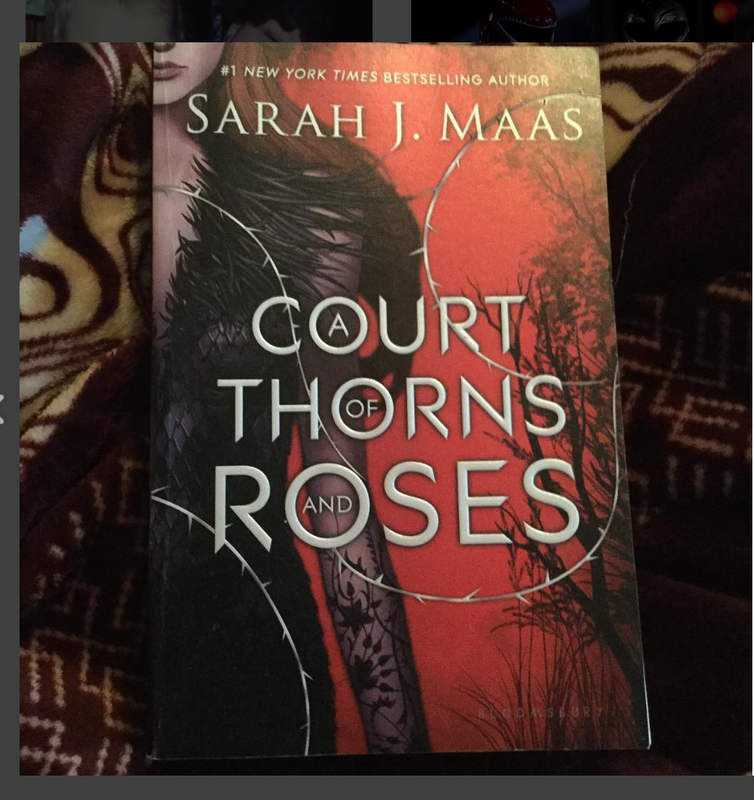 As I watch more reviews, I notice that every single person was talking about the series A Court of Thorns and Roses by Sarah J Maas. I decide the series looked to good to not buy it and that was months ago. Now that the third book is set to be release, So I decide it was the perfect time to read the series and share my thoughts about it. 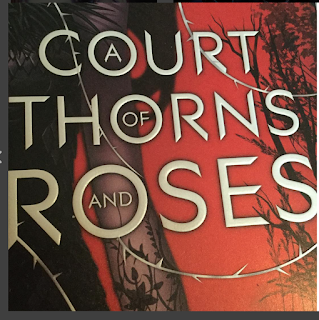 Now with that being said lets get to my first review of A Court of Thorns and Roses, which is the first book in this series. 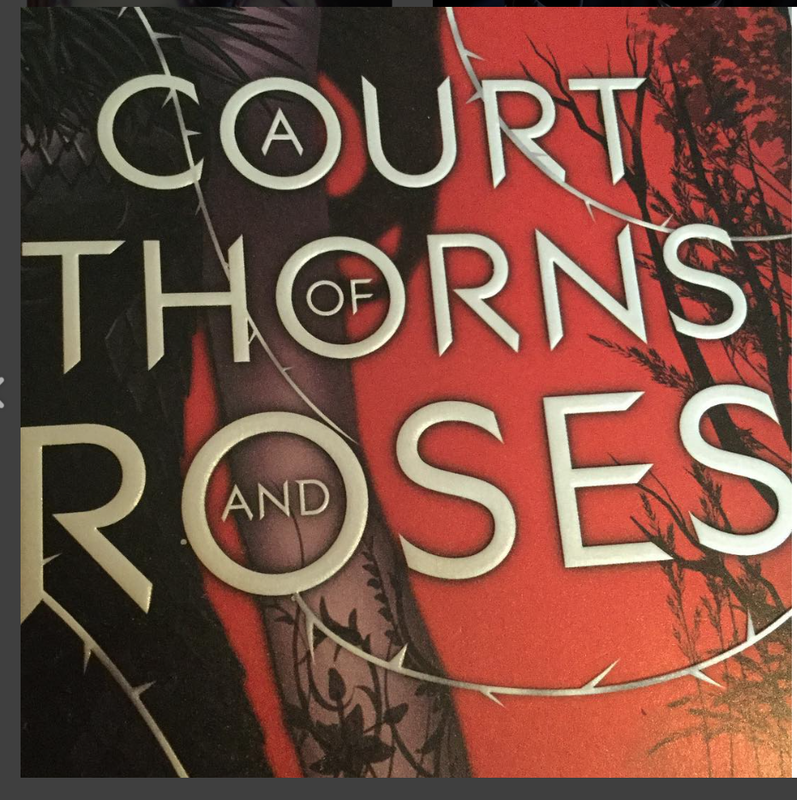 So here is my general summary of A Court of thorns and roses. This book is about a Young human girl name Feyre who by chance meets an immortal by the name of Tamlin, through usual circumstances. Due to these circumstances, Tamlin makes Feyre agree to come with him to his land or as it is known, the Spring Court land. Feyre agrees which leads to love for the two of them, but then it brings problems for Tamlin. After the problems begin to arise for Tamlin, then he has Feyre sent away. But the question then becomes will Feyre stay away or will she return, and for that answer, you will just have to buy the book. I really did love this book and I felt like it was such an easy read. The story seem to moved at a very fast pace and never really slowed down. Many people claim that it is a retelling of beauty and the beast but I don’t see it. I felt like I was reading Lord of Rings meets Narnia. I, imagine the female Villain at the end of the story, as the White witch and Tamlin reminded me of Aslan from Narnia. The way I picture the lord of the rings vibe was through the descriptions of the fairies or Fae as they are title. Plus in my mind I saw Lucien as Legolas from Lord of the rings. I honestly didn’t feel any Beauty and the Beast vibe from this story. But over all I really love the story and cannot wait to read the next two books. Now for my final thoughts on the first book of the "Court Of" as I called the series. I rate this book a 3.5 out of 5 stars, simply because of the middle half to the end. The final battle was very predictable in my opinion. I felt like the female villain, is a common core type of thing now a days in fantasy. The reason I felt like this, is because the female villain does stereo typical things of a villain except she is female. She falls in love with a guy who doesn’t want her, so in return she tries to blackmail him. Now with all of that being said, I still really enjoy this story. I enjoy it, far more then I thought I would enjoy a fantasy fairy type of story. Normally I am not a fan of these type of books, but this Series so far is the exception. Even with the rating I gave this book, I would still recommend it to others. I would most assuredly recommend this series to everyone and anyone who loves Lord of the rings or Narnia. I honestly can’t wait to start the next book. As always all of the links for this series and the author are listed below as well as my Social media.